Not really sure if this is the best method to do it but this works. The data you get back from UDP is in the order as stated in the first post. Hello PootNoodlez, I was wondering if you (or anyone else) could elaborate further on what you mean by "unpacking the buffer using the [given] string"? Thanks. Thank you Turn 10 for this incredible feature! I'm used to use dash app on my tablet with my racing sims and now that you brought support makes it so much better, thank you so much! With this and race regulations it is becoming my most favorite game of all times and I've been racing all my life. Thank you for adding and improving! I am totally blind and use the Narrator feature on the XBox console. Right now, I am playing Forza to a limited extent using all the assists in the game. This new data feed could allow some fascinating accessibility add-ons. I'm thinking of an app on a iPhone or on the PC that could output telemetry data using text to speech. Obviously, It couldn't speak all the data as it updates, but certain metrics like speed and rpm could be really helpful. I know that Microsoft is looking into adding text-to-speech directly into Forza, but it will probably be a while before we see that. basically, its a telemetry control for dof platforms and dash controllers. I’ve been able to use motion with my DoF Reality simulator and it is awesome....love this update!!! May I start dreaming about support for a buttkicker (and the likes)? 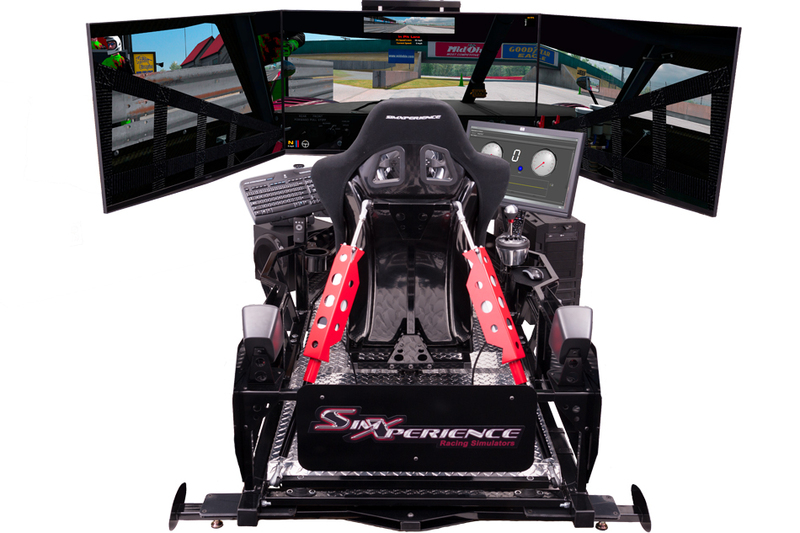 We at SimXperience have been working with the game developers for quite some time now to facilitate proper integration with our AccuForce Professional Grade Steering Systems, SimVibe Tactile Feedback and our Full Motion Racing Simulators. Just a follow-up / teaser video to show all our products in action with Forza Motorsport 7, including our alternative customizable force feedback option. Tutorials will be made available tomorrow explaining how to get the most of Forza 7 with SimXperience gear. A sincere thanks to the Forza team for making this possible! *Maybe someday this forum will update my username! Forza 7 now has three versions (Standard, Deluxe, Ultimate). Do these three versions support udp data output? I can't see why not, it's just a feature of the game... So, yes 3 versions have it. Will this allow support for direct drive wheels without having to use adapters to emulate supported wheels. Glad to announce that Sim Racing Studio Power wind simulator and shaking software and hardware is now fully supporting Forza telemetry. This already works with Forza EmuWheel. No adapters needed. Visit support chat if you need help (link in my signature). I'm currently working on an iOS/Android application to show all the data presented so far. I'll keep you guys up to date when I make any planned releases. I also plan to integrate the UDP backend with a Windows UWP customisable layout. This is something I would love to have for Forza 7. Thanks you for your initiative on providing the community this future application =) Looking forward to following your work. But my own application doesn't receive any data，I use my application for live for speed, can receive udp data normally. I have the same problem, both with my own app and with Sim Racing Studio - it looks like there is just nothing there to capture. Has anyone been successful with capturing the data on port 10001, or with getting Sim Racing Studio to capture the data? If so, what did you do? If you read the original post carefully, you will see that it says localhost data streaming is not supported. This however is not because Forza chose not to support it, but because UWP apps have certain limitation on Windows. Anyone got gear indicator to work ? I use Simdashboard, and unlike just about every other driving sim, the only data that can be derived from the data out function, is Revs, Speed and a couple of pieces of relatively useless information, like Class and PI. Seems very sub standard.... no real surprise I guess ! No Gear indicator, lap times, position, lap number and so on ...... nada. You really need this very basic data to enable you to turn off all the HUD stuff. 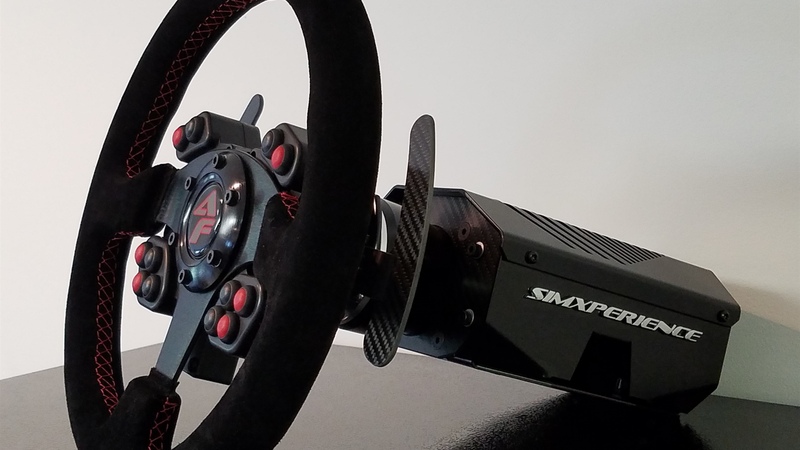 Developer of Simdashboard blames the extreme limitations of Forza 7 output system... and judging from the sophisticated Android displays I get for my other sims, he is undoubrefly correct in this assertion. PC: i7 7700k, GTX 1080, 960 M.2 NvME, 16GB RAM......Logitech G29, T8HA shifter sequential mode.....Many Jaffa cakes, washed down by Taylors Hot Lava Java..... copious Vaping. You're being quite unfair. Turn10 haven't released this claiming that this is specifically designed for dashboard apps. In fact they are explicit about this (quote from original post): "The initial data structure is designed specifically for motion sleds. We are working with several peripheral manufacturers and will be adding many more data points in the future." This clearly states the purpose for which the data out was made and also promises to add more stuff in the future. # f32 TireSlipRatioFrontLeft; // Tire normalized slip ratio, = 0 means 100% grip and |ratio| > 1.0 means loss of grip. # f32 TireSlipAngleFrontLeft; // Tire normalized slip angle, = 0 means 100% grip and |angle| > 1.0 means loss of grip. # f32 TireCombinedSlipFrontLeft; // Tire normalized combined slip, = 0 means 100% grip and |slip| > 1.0 means loss of grip. TireSlipRatioFrontLeft << this is longitudal slip or just spin. TireSlipAngleFrontLeft << this is lateral tire slip angle (not the same as wheel angle). TireCombinedSlipFrontLeft; << this is combination of the two above. Although the way they normalize this, it is hard to make sense of this third value. None of those three show weight distribution, not sure what you mean by "angle of road force on tire", and none of those show fraction of max possible grip. Also, just to be completely clear. None of them show tire load. TireSlipRatioFrontLeft can be used to calculate Fx, and TireSlipAngleFrontLeft could be used to calculate Fy at pure slip. TireCombinedSlipFrontLeft can be used to calculate the same at combined slip. TireSlipRatioFrontLeft << this is longitudinal slip or just spin. Good info. I looked at a dataset and the data for first parameter shows slip in negative sense only for a front wheel (braking) and both senses (-/+) for a rear wheel (brake and traction) on a RWD car, which is much as you would expect. The data for second parameter shows slip in both senses consistent with lateral slip. And you are right in about the third parameter too - its just the root sum of the squares of the other two, so all it really gives us is magnitude of slip (lateral and longitudinal). The release notes for the July update does not mention any changes to the data out format. This is disappointing, I was hoping that we would see a number of useful values (suggested in this thread) being added. Maybe we'll see them in August? I've made a few updates to the Python library on GitHub over the past few days. First to fix the missing acceleration parameters in the output when writing out data to a file. Thanks goes to Gryphon962 for reporting that bug! Secondly, to add CSV support for those who prefer to work with data in that format. I also switched the default behaviour so the script starts a new file and writes a row with the names of all columns at the beginning of the file. There's a command line parameter available to have it append to an existing file. When are we getting more data such as Gear info ?